Firefighters have spent several hours tackling a large fire at a disused former council building on Dalton Lane in Dalton, Rotherham. At the height of the incident there were five fire crews from Rotherham, Maltby, Aston, Parkway and Dearne along with an Aerial Ladder Platform. 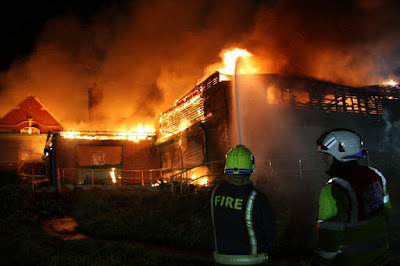 The former Millside Learning and Development Centre, which was sold off by Rotherham Council, was well alight when crews arrived at the scene just after 7pm on Thursday evening, with the front and roof area on fire. Firefighters worked hard to bring the fire under control. Fire crews left the scene at around 2am on Friday morning. An investigation into the cause of the fire will now take place. The lot details said that "the property has suffered as a result of vandalism and the interior is in a very poor state of repair and considered to be hazardous." Auctioneers, Mark Jenkinson & Son, sold the lot for £175,000. 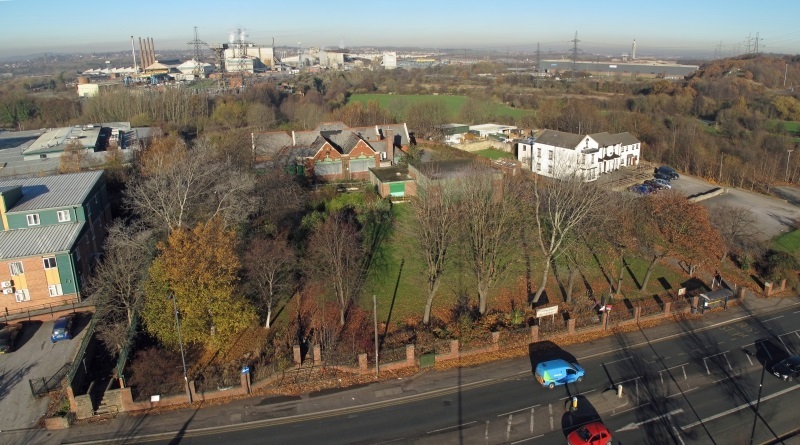 Currently zoned for community use, the site has been put forward for residential use in the forthcoming Local Plan. It has been assessed that it could have capaity for 38 dwellings. In July, a planning application was submitted that would enable the partial demolition of buildings and restoration of the site, but it was never validated and therefore never approved. The applicant was Haris Automotives, the car sales business based in nearby Eastwood. Rothbiz reported in September that discount retailer Lidl had opened discussions with Rotherham Council over a proposed new store on the nearby site of Dalton Progressive Working Men's Club.